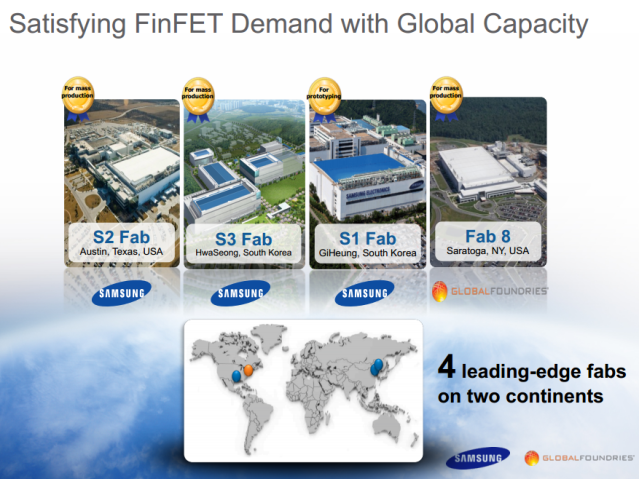 Samsung will reportedly begin 14nm FinFET mass production for three major industry players. Nvidia, Apple and Qualcomm in Q2 2015. Samsung has reportedly had the process ready for volume production since late last year. However the company only recently managed to achieve a significant breakthrough which resulted in driving yields up and driving costs down. The recent breakthrough by Samsung along with the numerous significant delays that TSMC has suffered resulted in the biggest mobile industry player to jump ship from the latter to the former. Qualcomm had reportedly halted risk production of 16nm FinFET chips at TSMC three weeks ago in favor of going with Samsung for its next generation FinFET processors. Samsung’s system semiconductor business is going to mass produce and supply chips to Apple, Qualcomm, and Nvidia starting in the second quarter of this year. It’s been known for a while that Apple had chosen Samsung to make it’s next generation 14nm FinFET A9 processors. It’s also been speculated on numerous occasions that Qualcomm would do the same. However Nvidia’s choice is both more interesting and surprising from several aspects. The first being that Nvidia had already announced that it will partner with TSMC to make GPUs on 16FF+. The other aspect is the recent animosity between Nvidia and Samsung fueled by the patent infringement lawsuit initiated by the former. However if we’ve learned anything throughout the years is that business is business. And just like Samsung continued to supply chips for its arch rival Apple, the company would be willing to do the same for it’s much smaller rival Nvidia. That is to say as long as Nvidia and Apple continue to make money for Samsung, it would be illogical for the company to not take their business. It’s not entirely clear whether Nvidia will choose to make discrete GPUs using Samsung’s 14nm node. As we’ve mentioned above the company had already confirmed that its next generation GeForce GPUs will be manufactured at TSMC on the 16FF+ process. So it’s very unlikely that Nvidia will change that. What’s certain however is that the deal with Samsung involves Nvidia’s next generation Tegra mobile processors. As with any manufacturing process, 14nm FinFET is going to be driven by mobile processors in its early life. This is because they’re significantly smaller and less complex than high performance GPUs and CPUs. The huge volume also helps improve the yield learning process which reduces cost. As the process matures a more high-performance focused variant is brought to the market to address that segment. 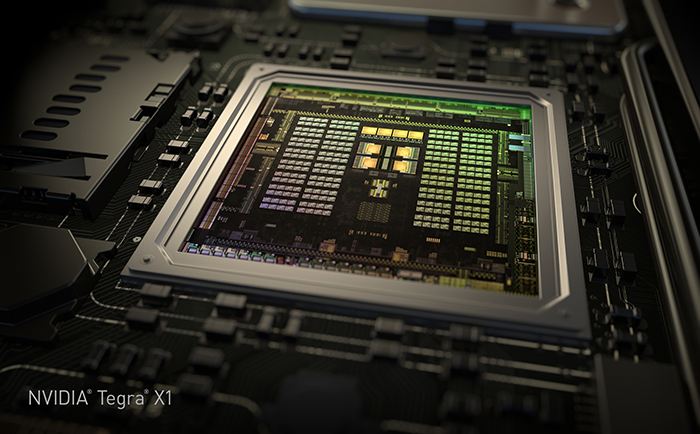 So I would still be very surprised to see any FinFET discrete GPUs come out before 2016. We know at least that AMD intends to bring it’s high performance chips using this process in the second half of 2016. 14nm is shaping up to be a major process node in the industry. Both in terms of what it represents from a technical standpoint and the potential length of its life-cycle.